SMT technology is utilized nearly exclusively in the manufacturing of today’s electronic devices. SMT provides the ability to generate mass-produced, smaller, lighter boards with fewer fabrication steps and less setup time, reducing cycle times and fabrication complexity. 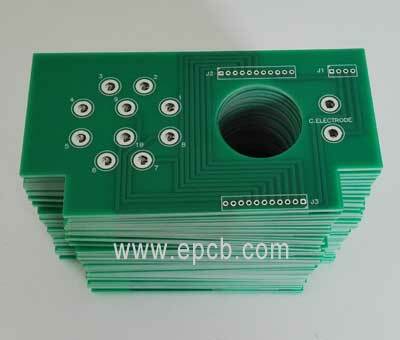 Compared to the through-hole technology, SMT manufacturing of PCBs owns a number of advantages. In the post, EPCB lists four reasons why we use SMT during the PCB fabrication. Higher density of components: This results in smaller boards or even fewer boards. Construction facilitates the mounting of components on both sides of the board. Manufacturing efficiency: Use SMT can reduce the whole cost by simplifying setup and reducing hole drilling operations. Reduced cost: Many SMD components are less expensive than their leaded counterparts. Reliability: SMT fabrication is generally less susceptible to impact from vibration or shaking. Smaller components: SMDs are not only smaller themselves, but also greatly reduce the space needed for connecting to the board without the need for leads, placement and drilling of holes, and soldering. SMDs are connected directly to the board surface. SMD components are typically 1/4 to 1/10 the size and weight of through-hole devices which is an obvious advantage for PCB designers to use them.